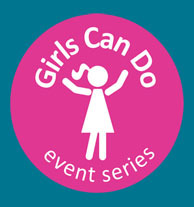 Girls Can Do – Dear Daughter Studio :: Supporting Girls Can Do With Photo Event! Play in the studio’s new style closet. Win door prizes and enjoy sweet treats. And of course, get your photo taken! Here’s how we’re showing the love. We’re waiving our standard studio fees and instead accepting donations for local non-profit, Girls Can Do—because just like us, they believe girls can do anything and everything! 15-minute photo shoot for kids, families, couples and friends. Complimentary 5×7 photo, printed on fine-art linen paper (one per family or person) and corresponding digital file for web sharing. Gift voucher to return to the studio for a full individual or family photo session ($250 value). Additional photos and photo products offered at regular Dear Daughter Studio prices.